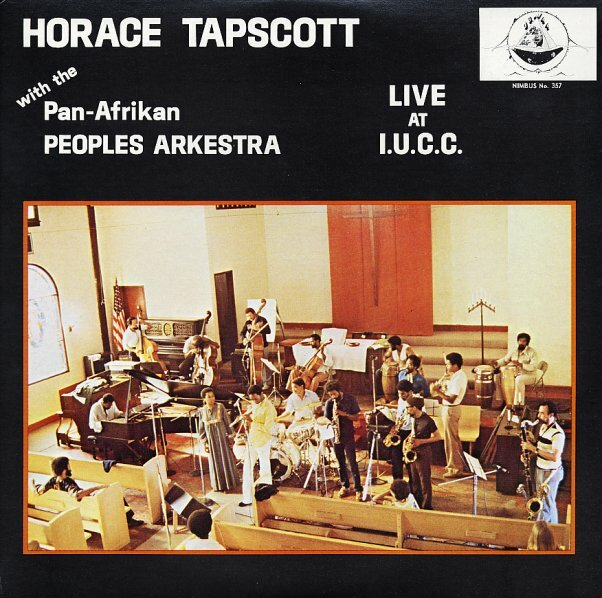 An excellent double-length set from Horace Tapscott's Pan-Afrikan Peoples Arkestra – an extremely righteous ensemble that was one of the hippest things going on the LA jazz scene of the 70s! The vibe is free and spiritual, but it also has a wonderful groove pulsating underneath many of the tracks – that heir to the Impulse Records style that Tapscott and other Nimbus Records artists carried on well into the early 80s. The group here features some of Tapscott's Nimbus labelmates – including Sabir Matteen and Billy Harris on tenor saxes, Linda Hill on piano, Adele Sebastian on flute, Roberto Miranda on bass, and Jesse Sharps on soprano sax – and in a way, the album's almost a live summation of all the mighty talents brewing on the Nimbus label at the time! Tracks are all quite long, and titles include a great version of Sebastian's "Desert Fairy Princess", plus "Macrame", "Future Sally's Time", "Noissessprahs", "Village Dance", "LTT", and "Lift Every Voice". © 1996-2019, Dusty Groove, Inc.